Dedicated to protecting and promoting the health and welfare of all dogs. Advancing the health, breeding and sport of purebred dog ownership. Always there to provide knowledge and expertise on canine matters. 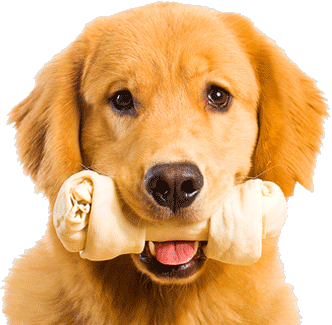 Our mission is to advance the health, breeding and sport of purebred dogs and promote responsible dog ownership. The Irish Kennel Club is always there when you need us providing knowledge and expertise on canine matters. GAIN Pet Nutrition is the pet feed brand of Glanbia and proud partner of the IKC. We specialise in premium food for dogs, providing a total nutritional solution for all dog owners. Need help finding the perfect breed of dog for you? Answer a few questions about you and your lifestyle to find the breed best suited to you! 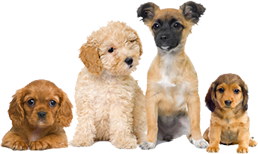 Before buying any dog please refer to our How To Buy A Puppy section as both the purchaser and the breeder have responsibilities, some of which are a legal requirement. Interested In Buying A Pedigree Dog? Look no further than Puppy Zone for micro-chipped pedigree dogs, registered with the IKC, available from IKC members. Before buying you are advised to refer to our How To Buy A Puppy section as both the purchaser and the breeder have responsibilities, some of which are a legal requirement. The IKC does not guarantee any dog showcased in Puppy Zone. Browse and search for dogs from the available list of breeds. Information on IKC Shows, Judges and Green Stars. Register your dog(s) with the Irish Kennel Club. Register a litter of puppies, a dog or an overseas dog. View the list of IKC Licenced Implanters. 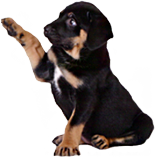 Visit the IKC Microchip Database website for information on lost dogs. Dog Shows are an exciting way to meet other dog owners, to socialise your pet, and to test his or her abilities if you choose to enter a competitive event. The sport of Working Trials is the canine equivalent of Three Day Eventing. The Nosework –Cross Country, Obedience – Dressage, and Agility – Show Jumping. Agility is a fast-paced, exciting dog sport with great spectator appeal. It is an excellent test of the partnership between the handler and dog. Obedience events exhibit how well a dog, through training and condition, can behave at home, in public and around of other dogs. Find contact information for various breed clubs and societies around Ireland. An Ard Chomhairle representative members can log in to view information about An Ard Chomhairle.